This bit of news isn’t just about a big company finding another way to make money off of its existing customer base, it’s a strategy that many niche job boards could benefit from emulating. Understand that Indeed wasn’t able to do this overnight – a number of things had to happen in order to make their resume database a viable revenue channel. After convincing employers to post jobs on their site, they had to get them to use Indeed’s system for receiving job applications. The consequence of this was having a lot of job seekers building out their Indeed profiles. 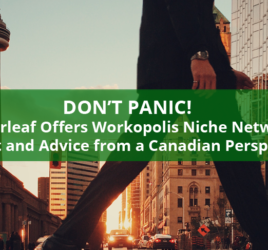 As a niche job board owner, you can do the same thing by getting employers to use your system for receiving job applications and building out your candidates’ profiles – which are exclusively relevant to the jobs your customers are trying to fill. Then you have a solid offering in the form of a candidate database that you can charge employers to access. ZipRecruiter, a company with services and products that include job distribution, job backfills, job search, and application tracking, has acquired job board software company JobBoard.io. Chris Russell on JobBoardSecrets.com and Joel Cheesman on ERE.net report that JobBoard.io’s customers were informed via email last week, and they can look forward to new ZipRecruiter features and options. ZipRecruiter is an interesting player in the recruiting and job board space. They’re not at the same level of global name recognition as Indeed or LinkedIn, but their distribution services have a broad reach (perhaps too broad?) and they often act as an intermediary for job boards, employers, and job seekers through their tools and integrations. Some of our customers make good use of their job backfills as a supplement to their original job content and earn click revenue. I generally advise niche job board owners to maintain a balance between backfills and original job content, since jobs posted to your site directly by employers and recruiters allow you to establish direct relationships with your own customers and job seekers. Russell suggests that combined solutions from JobBoard.io and ZipRecruiter may be something akin to SimplyHired’s (now defunct) publisher program. I can’t help but wonder if that’s a good thing for niche job boards in the long run, as to my knowledge the customer and candidate data fed through a SimplyHired job board didn’t actually belong to the job board owners. Cheesman mentions the commoditization of job posts, and with technology and marketplace factors constantly evolving, it seems like a job board’s data is its most reliable currency. It will be interesting to see what impact acquisition by ZipRecruiter may have on JobBoard.io customers’ level of data ownership. I know you’ve heard of LinkedIn, but what of HiQ? The self-described data science company uses public information to help employers understand and analyze their employees best-suited career path and whether or not they are “flight risks”. The two companies are in an ongoing legal dispute regarding HiQ’s use of public LinkedIn profile data. LinkedIn doesn’t think other companies should profit from content on their site, and HiQ thinks publicly available data is fair game and that legally restricting its use will stifle competition and innovation. That’s the very short version. I think it’s worth a deeper dive at a later time, but for now, you can read more about it in the articles I’ve linked to below. The outcome of this legal battle could have wide and potentially significant ramifications for recruiting, so it’s worth keeping an eye on. Yikes. That’s quite the mess, isn’t it? It should be mentioned that Kent is now in jail. Both the DHI Group vs OilPro and LinkedIn vs HiQ stories involve the legalities and ethics of collecting and using job board data. 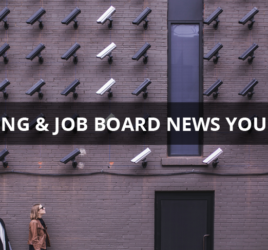 The subject of data scraping deserves a deeper discussion, but I think the take-home point for job board owners is to be mindful and ethical in how you procure and/or distribute candidate and customer data – and to be careful of who has access to yours. As Indeed and Ziprecruiter show us, playing the long game to build up a solid candidate database with relevant and up to date resume profiles can pay off. The common theme here is that good data is valuable. As we look ahead to 2018, job board owners would do well to think about where they stand with their own data.